In general, the more copies sold over time, or the greater number of printings, the more collectible will be the true first printing of a picturebook. The caveat is the first print run cannot be a large percentage of the books that were printed. It makes common sense, but bears repeating: the demand increases over time while the original supply of true first printings actually decreases over time, through attrition (i.e. damaged or discarded), or by being absorbed into book collectors' libraries. In either case, the availability or supply of the first edition book is reduced to the collecting marketplace. Picturebooks get into high print runs for a number of reasons, many of which have been previously mentioned. The key factor to a book's long-term popularity is the high appeal of the illustration and story, and especially if that appeal is generational in nature—refer to Key Factor #1, Aesthetic Quality of the Illustrations and the Story. Another leading cause is the book crossing over into popular culture, cementing demand for years to come. 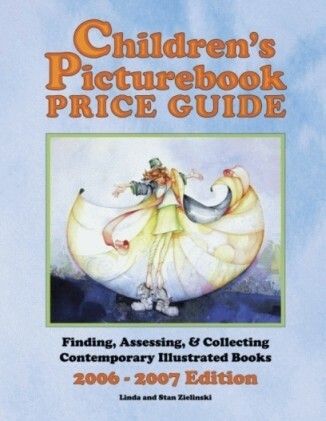 Chapter 3, “Approaches To Collecting,” contains a section on bestselling children's books, compiled by Publisher's Weekly. The number one bestselling children's book is a Little Golden Book, The Poky Little Puppy, which has sold over 14 million copies. Since only a small percentage of those were first edition printings, the number of copies sold, which is directly related to the number of people who have read the book (and therefore are potential collectors), is a major contributing factor to the high collectibility and market value of the book. Another example is Shel Silverstein's The Giving Tree, published initially in 1964, and has sold over 5.6 million copies. 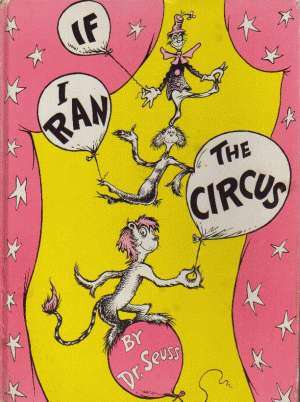 Although Silverstein had several books published prior to The Giving Tree, it was his first of several phenomenally successful books. Because of this, the initial printing of The Giving Tree is relatively small compared to the total number of copies sold, therefore the first edition copies have a high market value. Silverstein's Where The Sidewalk Ends has sold even more copies, some 6.2 million copies, however the first edition copy does not have near the market value of The Giving Tree. Since Where The Sidewalk Ends was published in 1974, after a decade of successful sales of the The Giving Tree, the publisher had a good idea of success in the market, and therefore there were substantially higher first printing copies produced. The number of printings is probably more important then the number of copies sold, although obviously the two are interrelated. As an example of this, the Disney books that accompany their marquee animated movies are sold in very high numbers, but don't get into especially high number of print runs. The number of first editions of these Disney books is quite high relative to the number of total books sold. There is not a high chance for high appreciation in the future. On the other hand, a book such as The Polar Express, by Chris Van Allsburg, has had over 70 printings in its twenty-some year publication history, which is quite remarkable for a relatively new book. The collectibility and value of The Polar Express is enhanced by the combination of the high number of copies sold, meaning a large number of children and adults who have read or been exposed to the book, and the relatively low number of first editions that were initially printed. There are many, many examples of this, and most of the books in Most Valuable Books, reflect this trait.